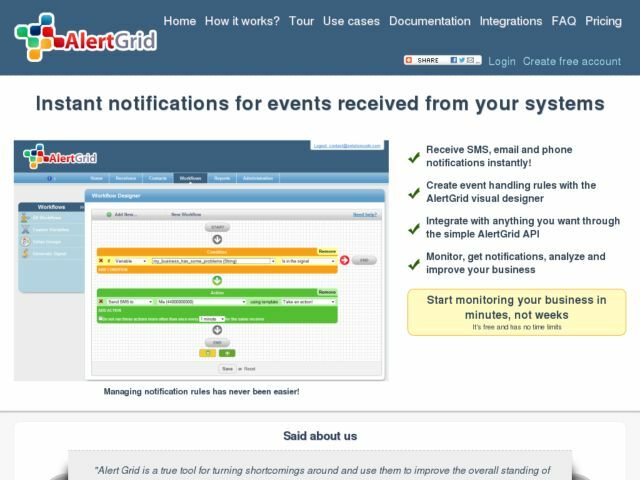 AlertGrid is an online service that helps business owners from various industries increase reliability of their businesses. You can get sms/phone/email notification in a seconds after some important incident happened (server down, script error, machine stopped). By providing intuitive rules editor and simple integration API you can receive instant notifications in minutes after creating account. Receive SMS, email and phone notifications instantly!